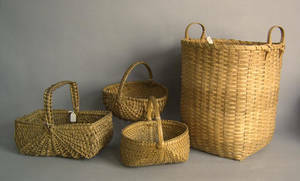 Realized price for Four woven baskets. 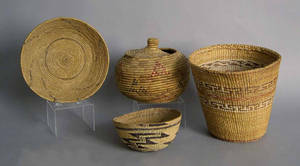 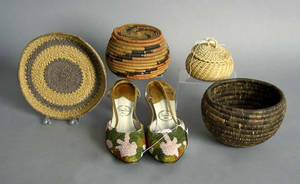 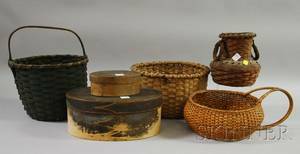 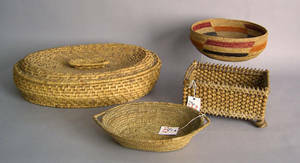 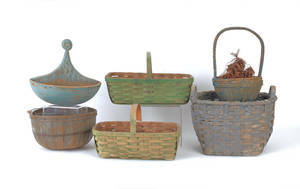 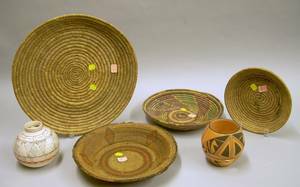 Archived auctions similar to Four woven baskets. 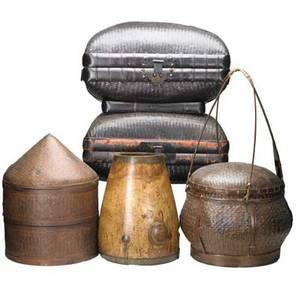 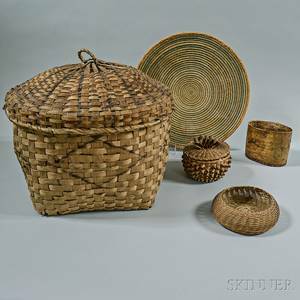 Asian decorative group; four woven baskets and a wooden vessel, 20th c.; tallest: 28"
Native american four woven baskets, most californian. 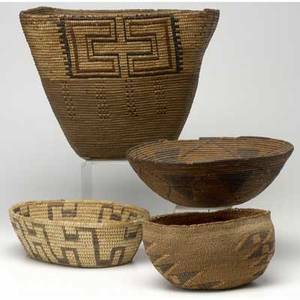 largest: 11" x 13 1/2" dia.